Did you know that to keep your garage door running efficiently periodic garage door maintenance is important. It will extend the life of your garage door and garage door opener, and it will keep them running quietly! Just as with any other automated or electronic system, garage doors and openers should be maintained on a regular basis for ultimate performance and longer life. We recommend servicing your garage door annually, 2-3 years after the garage door opener is initially installed. 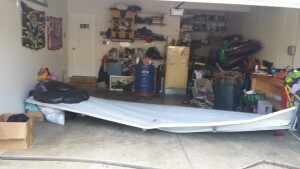 Even if the garage door is working, it may not be working well. We do a thorough check and correct minor malfunctions before they become MAJOR and more costly problems. One thing to remember: If your garage door is noisy, that is NOT normal. Call us to check it out before it becomes more serious or breaks entirely. We’ll do a thorough tune-up that will likely save you time, inconvenience and especially money down the road due to a broken garage door that could have been fixed instead.